Let's face it. Sometimes students look at you while your teaching and you can read their minds. "Why in the world are we doing this?" 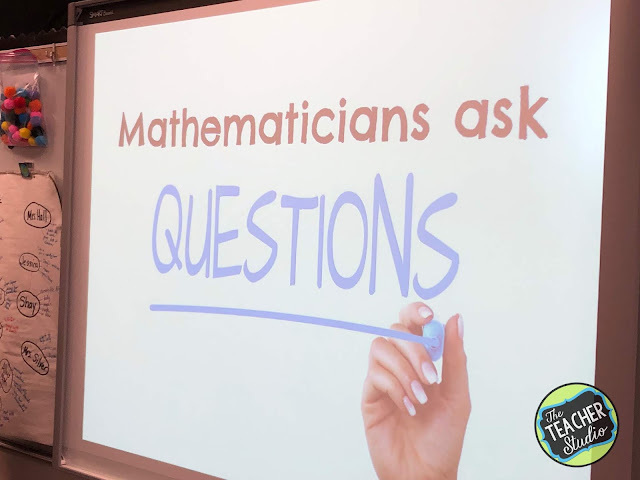 And in their defense...when they are filling out worksheets or pages of a math workbook, it's easy to lose the "real world" in the math and focus instead on the answers in the boxes. Whenever humanly possible, I try to make math meaningful to my students...whether it be by inserting their names into word problems, using math to solve problems around the class, or showcasing cool "math stuff" I come across in my own life. "A farmer has 3 chickens, 6 cows, and 4 horses...."
Their first reaction is ALWAYS, "13! That's easy!" without waiting for the question. What if my question was "How many legs are on the farm?" or "If he gets enough ducks to make a total of 20 animals, how many ducks will he need?" or "It costs $50 per year per animal to feed them, does he spend more or less than $1,000 on food?". I think you get the point--every real-world situation has COUNTLESS math questions we could be asking. 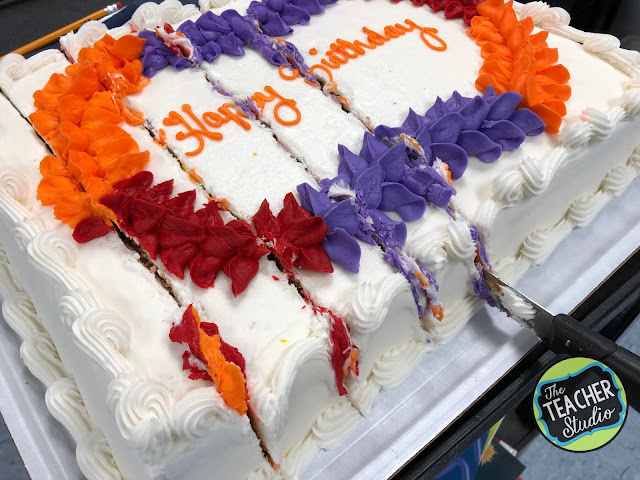 So with a slightly big production, I wheeled a birthday cake into the classroom. As you can imagine, shrieks of delight filled the room followed by, "Can we eat it?" I explained to the students that we could, indeed, eat it--once we had answered some math questions about it first. I thought there might be groans, but I got an overwhelming feeling of "Game on!" from the class. I started by asking them to brainstorm what questions they thought I would ask about the cake. (Then I clarified that I meant what MATH questions!) and the list began. What I had done was to prepare four tasks related to the cake. I put the students in trios and handed each group a card with the first challenge--find the area and perimeter of the top of the cake. The excitement was building...so we set some expectations. 1. We were going to really focus on the Standards for Mathematical Practice and cooperation. 2. In order for us to eat the cake, all groups had to get through a minimum of 2 challenges. 3. Participation in each group must be balanced and all members were responsible for doing the work. 4. 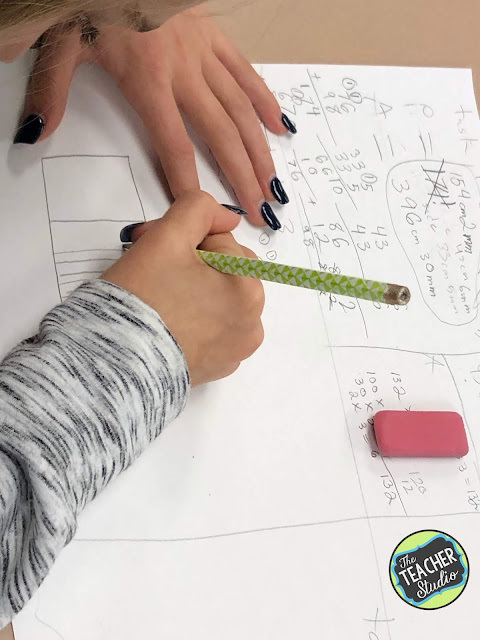 Thinking and math must be recorded on a problem-solving poster using clear math language, diagrams, and labels. With my fingers crossed, I sent them off to work. 1. 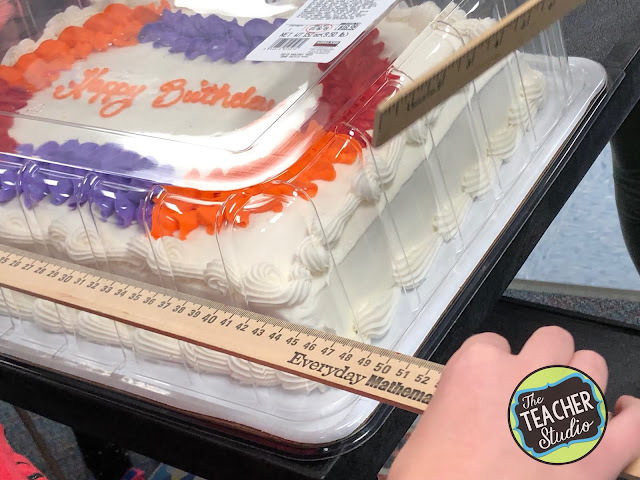 Find the area and perimeter of the top of the cake. 4. 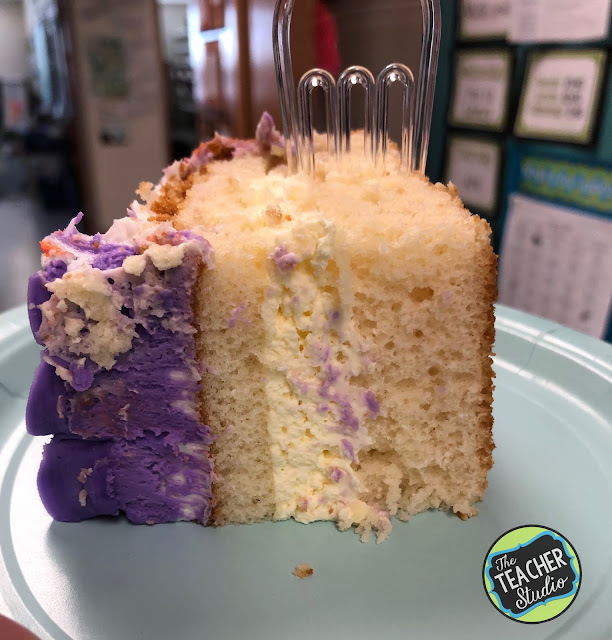 What is the surface area of the cake? 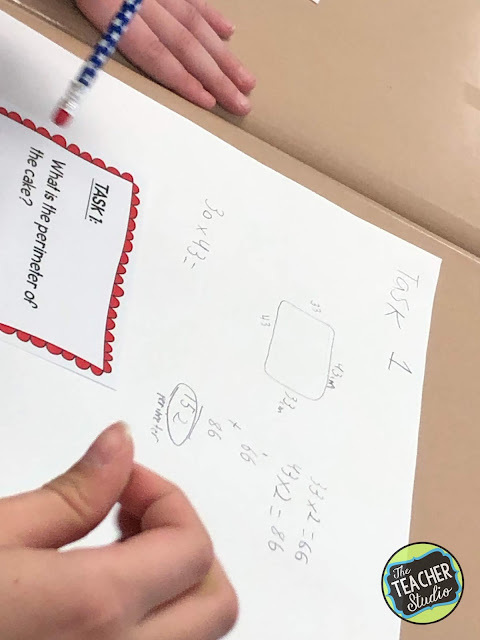 There were a ton of other questions I considered, but we had done area and perimeter a few months ago so I thought that this would be a great refresher...and with 23 students in the class that day, I thought it might make for some interesting fraction discussions--and it did! I coached on organizing their work, using labels, using tools, and so on. As they solved each challenge and could show their thinking and defend their solution, I sent them to grab the card out of the next envelope. 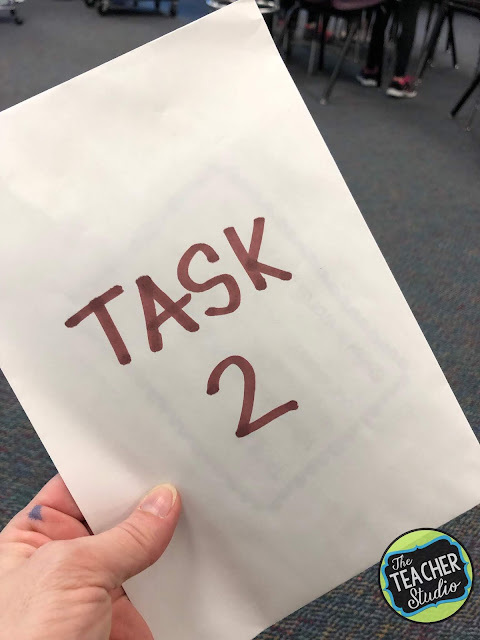 All groups made it through task 2--and several groups did more. So what did that mean? The Eye on the Prize! That's right! Time to enjoy the fruits (or cakes!) of our math labor. 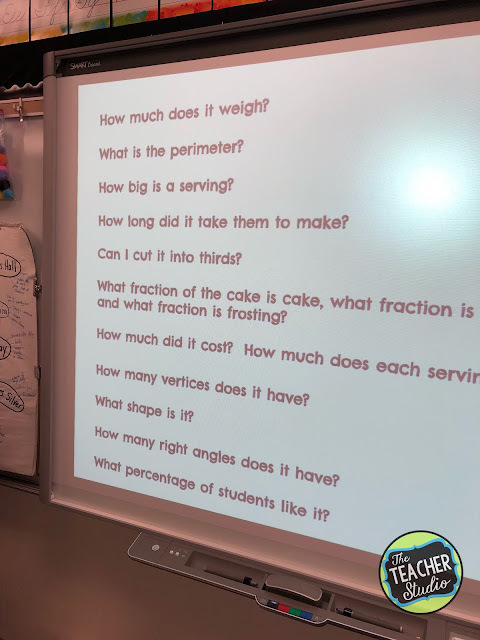 We started by having a discussion about serving size and how many pieces the cake could serve, and then the group helped me decide how to start cutting. After a good 45 minutes or so of intense problem solving, the lesson wrap up sure was delicious! So, as you work at concessions stands for your children's sporting events--snap a picture of the price board. Grab a menu from a local restaurant. Get a travel brochure for a place you want to visit. 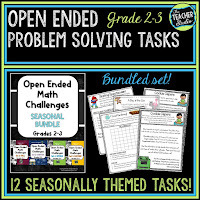 Bring in ads from the paper...and start generating lists of math questions and get problem solving! 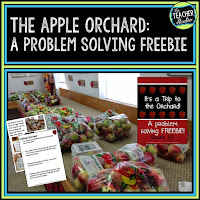 Want to try another "real world" task that's all ready to use? Try this one from a trip I took to an apple orchard. 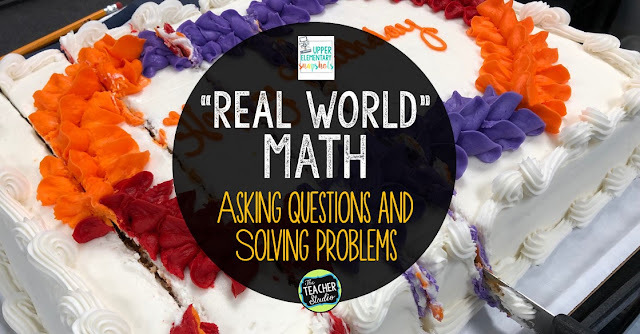 Here are some problem-solving tasks that help put students in "real world" math situations as well. 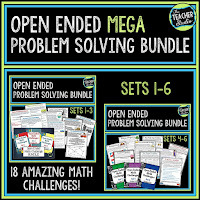 The first one is the growing bundle for my latest problem-solving tasks geared for grades 2-3. 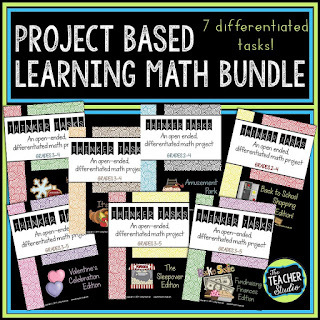 The bundle on the right is geared for grades 3-5. Finally, these 7 project-based learning experiences are far more in depth, are differentiated, and get students really engaged in the problem-solving process. 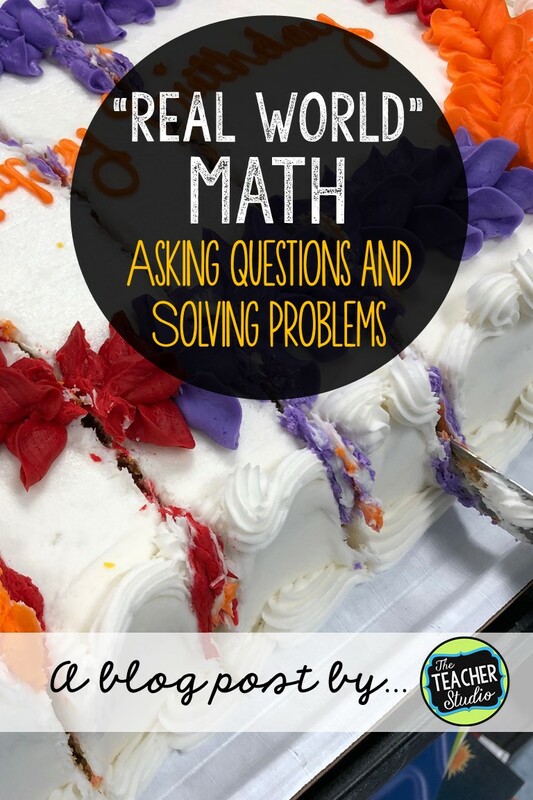 The idea of asking math questions is a part of this resource and there is a huge list of real-world extension ideas included with each one. See what you think! Rather pin this for later? Here you go!